Choose from an amazing selection for the living room: designer units, Raster heights, lacquer nuances, wood shades and accent colours – it’s your choice! now! no. 14 is very versatile. 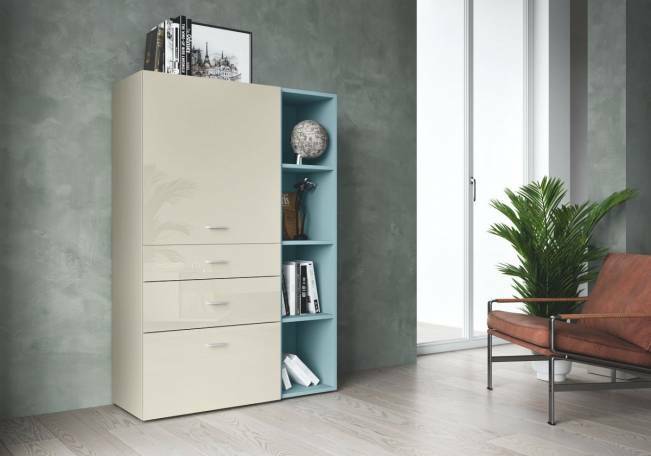 Cupboard with 3 drawers and a door in various finishes and an open shelving unit.